How much do you know about Hungaricums? You probably already have a feeling as to what Hungaricums means and you started to draw a picture in your mind about this notion. I’m sure that you are on the right track and that you got the right impression. Yes, Hungaricums are those unique Hungarian products, specialties, works of art, and animals which you can not find anywhere else in the world except in Hungary. Don’t be afraid. I don’t want to bore you with dry definitions or with something which has an encyclopedia or dictionary smell. This is not the place for this. If you are looking for serious, academic style writings about Hungarian specialties or Hungaricums, I have to disappoint you because you will not find such articles here. But if you are interested in distinctive things, products you can enjoy in Hungary; this is the right place to start. Here I will show you those specialties that make Hungary famous. The fact is I have spent a couple of years abroad. I lived in Germany, France and Finland and I have seen and tried quite a lot of nice and delicious things. But to tell the truth I missed many of the Hungarian products listed below. This is especially true for the foods. That is why a big part of this article about Hungaricums is about foodstuffs, but you can see there are some other interesting and unrivaled things. So, let me walk you through some of the most famous Hungarian products. Two years ago my wife and I decided to have a long weekend in Bakony. This is a very nice rolling country close to Lake Balaton. We rented a room in a hunting lodge and one evening after a long, romantic walk in the forest, we started to wonder what other places we could visit, not just touring outdoors. Of course the autumnal forest was very nice with its colorful leaves, but we wanted to see something else. We opened the map and discovered that Herend was quite close to where we were staying. I became excited immediately because I have never been in any porcelain factory and museum before. I remember when I was a child my grandmother had a porcelain collection. There was a big glass case in the house where the porcelain figures were kept. I used to spend hours trying to find out how these fragile masterpieces had been made. 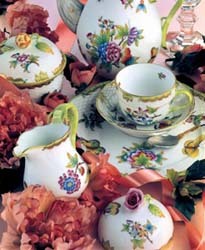 “Let’s go and visit Herend and the porcelain factory”. So, we ended up in Herend the next day. The Zsolnay Factory is the other famous porcelain factory in Hungary. In the early days there was a tradition in Hungarian families that a Zsolnay dinner-set was used for important family events. There are also families in our days who attempt to buy at least one set of Zsolnay or at least one piece from the set. I think my “old-fashioned” family is also fitting into this team. If you visit a Hungarian family and they serve food or coffee in this unique porcelain, you can be sure that you are an extremely important person to them. Of course, if you cannot see this Hungaricum on the table, it doesn’t mean that you are not important. The reason might be that they don’t like the style of these masterful pieces.This is also a very nice and common wedding gift for newly married couples. 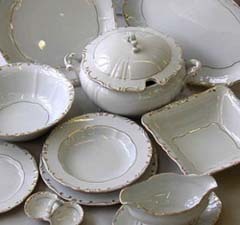 Learn more about Zsolnay porcelain here. We come again to those special Hungarian handworks that you can find in almost every Hungarian family. There is a big tradition for crewel-working, especially in my family. My mother and my grandmother used to make very nice tablecloths. Today my aunt keeps this tradition running. She makes amazingly nice embroideries. 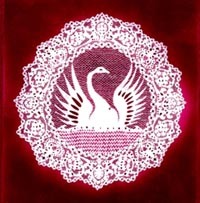 Just click on this link and you will be introduced to the world of Hungarian laces and embroideries. Let’s play together with our sensational Rubik’s cube just to stir another part of your mind. Here you will find a lot of interesting and useful information about this sensational logic game. Click to learn more about Rubik’s cube. This is the right place for you to explore this unique Hungarian immune strengthener. 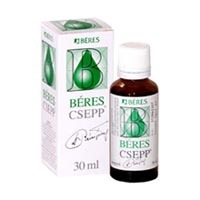 The Beres Drops not only supports your immune system; it can act as a supplemental therapy to improve the general condition and well-being of cancer patients. Just click on the link if you want to know more about Beres Drops. As I mentioned before, I lived a couple of years abroad. When I wanted to cook -for example, a good goulash- it was really difficult because I was not able to find real Hungarian paprika. I tried to find it in shops but finally I had to ask my relatives or friends to send me some. I don’t want to say that Hungarian paprika is the only choice for making nice Hungarian foods. You can, of course, use any other type of paprika or spices. If your goal is to enjoy a perfect Hungarian dinner at your table, I kindly advise you to buy a bag of real Hungarian paprika during your visit to Hungary. Want to know more about Hungarian paprika, or do you need advice on where you can purchase it, and which type you should buy? 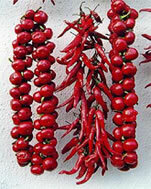 Visit our site about Hungarian Paprika. If you want to try some original Hungarian food specialties just have a look at the Hungarian Recipes site. I have never met any human beings (or dogs) who didn’t like it. 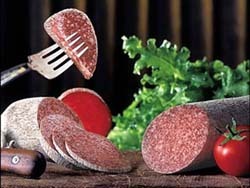 Once you taste the great flavor of Pick salami, you will never forget it. Let me share some stories with you about Pick salami. If you know some Hungarians in your country, just ask them what they are missing the most from Hungary. I’m serious, just ask them and I’m sure that 99.9% of the people will say it is the Dots (“Túró rudi” in Hungarian), and they will start to smile immediately. Because every Hungarian is in love with this sweet, and it is really one of those things which you can’t miss. Site for Dots (Túró rudi). Now it’s time to look at some drinks for moistening our dry throats after tasting these delicious foods. This is an excellent choice. Tokaji wine is the most famous Hungarian wine, and of course this is one of my favorites. I have met with a lot of people from all corners of the world and most of them were asking where they could buy “Tokaji Aszu”. This was music to my ears as this means many people have heard something about this Hungaricum. But I have also realized that they don’t know much about the other types of Tokaji. Please follow me and discover the secret of Takaji wine. 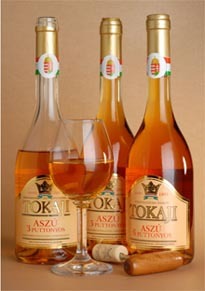 You will be surprised how many varieties of Tokaji wine there are. Of course this page about Hungaricums is not covering everything. I tried to collect here those products, which I personally think are the most important ones. If you are missing something and you would like to see it on this website, please contact us via our contact us form.